Does the need for a cane, walkers or wheelchair impact te decision in a Social Security disability case? Maybe. Cane, walkers and wheelchairs are known as assistive devices. At bottom, they are needed to help a person walk. Assistive devices come in all shapes, types and sizes. For example, a cane may be a single point cane (cane with one point at the bottom) or a “quad” cane (a cane with 4 points at the bottom). Sometimes a person may need a cane in each hand. More often, a person only needs to use a cane in one hand. There are several different types of walkers. Some walkers are like scooters designed to accommodate one leg in a horizontal position. Usually, these types of walkers are used for an injured leg or knee. Most walkers are used to allow a person to lean on the frame of walker while walking. In that way, the walker helps stabilize a person when moving. Using a walker, the person is less likely to fall if the person loses his/her balance. These types of walkers have either straight legs or wheels. The wheels allow for rapid forward movement. Walkers with wheels often have hand breaks for better control and pouches affixed to the frame for carrying items. A wheelchair, in its basic form, is a chair with wheels. Some wheel chairs are designed to be propelled by the person sitting in the chair moving an outer ring on the rear two wheels. These chairs can also be propelled by another person pushing the chair. Motorized wheelchairs are becoming more common. These chairs have a motor powered by a battery. While this type of chair is easier for the person using it to move about, the chair is difficult to transport. Finally, there are motorized scooters like the kind common to grocery stores. This type of chair is powered by a small battery. The person using the chair sits on a type of cushion and steers the chair by using handle bars. So, what is the effect of needing an assistive device in a Social Security disability case? It is complicated. Listing 1.01 (impairments of the musculoskeletal system) has as one of the requirements to meet or equal this Listing, an “inability to ambulate effectively.” The term ambulate means to walk. Social Security looks at whether a person needs to walk by using either a walker or a cane in each hand. If that person does need a walker or two canes, then generally, that person will be found to have issues with walking effectively. The reasoning has little to do with the act of walking but rather with the need to use both hands to hold onto the canes or the walker. The use of a single cane (one point or a quad cane) or a wheelchair does not preclude the use of both hands and therefore would not mean, by itself, that the person has an issue walking. Social security also looks at whether the person can transverse rough or uneven surfaces. It also is concerned with whether the person can walk at a reasonable pace or use public transportation. It is possible that the use of single cane would prevent a person from walking at a normal pace, walking on rough or uneven surfaces. A wheelchair might have the same limitations. Unfortunately, the need to walk effectively, is not a requirement in all Listings. So, even if an assistive device is needed and used, if the Listing does not have as an effective walking requirement, the use of an assistive device may not matter. The use of an assistive device may matter at step 4, when the issue is whether the claimant can perform his/her past relevant work. The use a cane, even a single point, may preclude a painter from climbing a ladder, a law enforcement officer from apprehending a suspect or a roofer from installing shingles. That said, at step 5, many assistive devices, apart from dual canes and walkers, do not preclude all employment. One problem common to nearly all cases is whether a physician order the use of an assistive device. Often, a person seeking disability, who is using an assistive device, especially canes and sometimes walkers, borrow the cane from a relative or friend. The use of the device is self-prescribed. 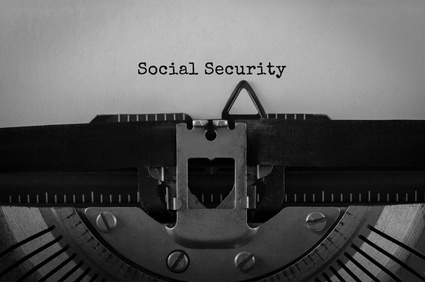 This raises the issue of whether the assistive device is “medically necessary.” If there is no prescription for the device, it is possible that Social Security will determine that there is no medical need for the device. If there is no medical need for the device, the assumption is that the device is not needed for walking effectively.